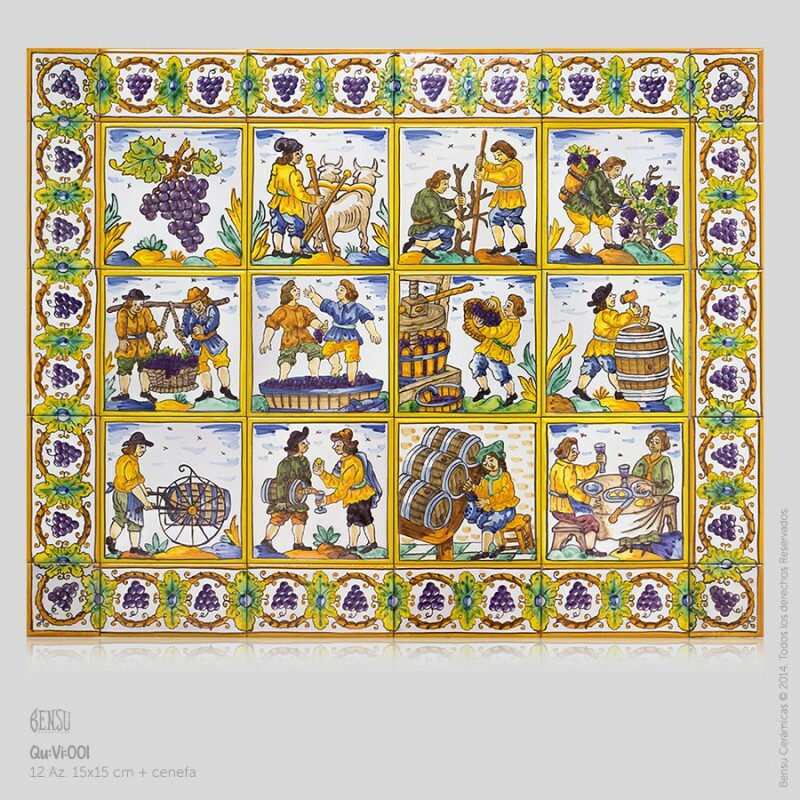 Picture of 12 Tiles 15x15cm + borders nº1. 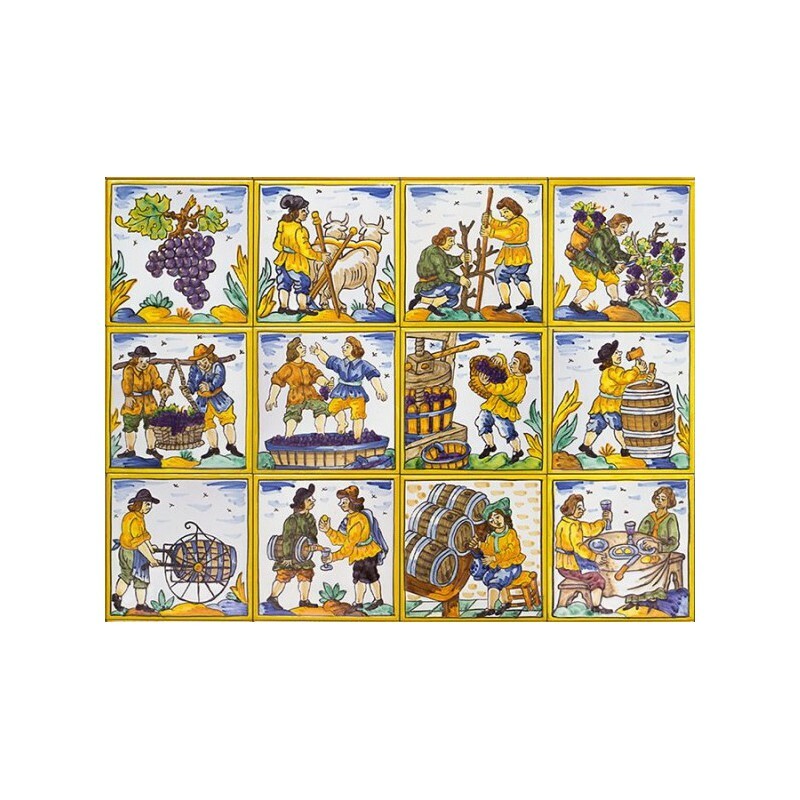 Total size Wine Picture 45x60cm. Total size Wine Picture + Borders nº1 60x75cm. 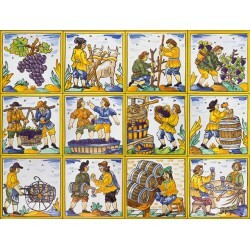 The wine collection has 12 tiles that go through the process of making wine.